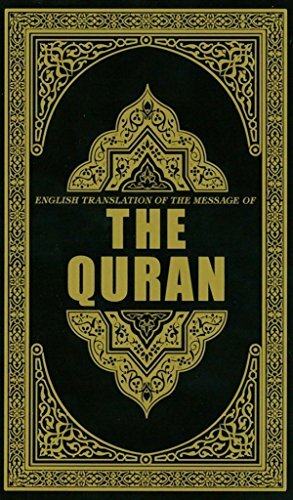 English Translation of the Message of the Quran, the holy book of ISLAM is considered to be the revealed word of God. This copy is an accurate and authentic translation. As mentioned earlier it has been reviewed and authorized by the foremost authority and one of the oldest institutions of Islamic learning - Al-Azhar University in Egypt (also one of the oldest universities in the world). This publication therefore represents an accutate and widely accepted understanding of the Arabic text by the Muslim world. This copy is easy to read and we have omitted the original Arabic text to make it more portable an user-friendly.Ahamed, Syed Vickar is the author of 'English Translation of the Message of The Quran, [Sep 01, 2007] Ahamed, Syed Vickar', published 2006 under ISBN 9780977300907 and ISBN 0977300900.